Ashampoo Photo Commander FREE is an all-in-one application for organizing, editing, sharing and presenting photo collections. It also features additional creativity tools and audio and video management capabilities, making it a complete media management package. You get a suite of powerful and yet easy-to-use creativity tools: You will be able to produce web albums of your pictures and you can post them on your blog or website.You can send your photos to friends by email, create collages, calendars and greeting cards, add picture frames and vignettes, insert text bubbles, add text, create slide shows and view them on your computer or burn them to CD or DVD, complete with a viewer program so that anyone can play them. You can also backup your images to CD or DVD, also without leaving the program. · The entire viewing engine has been improved with a new intelligent automatic background cache for faster and smoother image rendering and display. Working with images of any size is now faster, smoother and easier. · A new caching system significantly speeds up thumbnail display. · Frame Style Center: Tool for adding artistic picture frames and vignettes to photos and for quickly creating high-quality greeting cards. Includes a wide selection of vignette styles and greeting card templates. Greeting cards can be mailed from within the program. · Collage Tool: Select photos and generate artistic collages complete with background images with a couple of clicks. · Calendar Tool: Create and print 12-month photo calendars (one month per page) in three different styles as novel gifts. Includes ID3 tags, codec, bit rate, author, title, album, genre etc. · New mouse tools bar enables image editing in full screen mode. · Unlimited undo/redo - all editing operations can be reversed. Undo can now be used with the Crop tool. · New slider controls for adjusting color temperature, hue and saturation. · New effects: Drop shadow, radial blur and sepia. · New mouse tools: Callout tool for creating text bubbles, clone tool for retouching photos, eraser tool. · All tools improved for smoother action with quality anti-aliasing and smooth shadow effects. All tools now automatically move/resize with the main window and can be moved/resized with the SHIFT + cursor keys. · Selection tool improved and now has useful quick command buttons. · Selection dimensions now displayed above the image. · Old scroll tool replaced with a more practical hand cursor/scroll tool. · Attractive new transition effects. · Image/Video tools bar for easier navigation. · Player controls now include a Repeat button. · Support for 6.1 surround sound in videos and for FOURCC DivF and FOURCC FMP4 video codecs. · Autoplay disabled automatically for files with durations less than 3 seconds. · Mouse Tools are image editing tools that only use the mouse, enabling you to apply cool effects in seconds. · Draw Text: Add text with shadows and effects to your images. You can choose the font, font color, shadow, shadow color, alignment (left, center, right), underlined and strikeout. Instant preview as you type! · Draw Arrow: Identify elements in your pictures quickly by dragging the mouse to insert a graphical arrow with a drop shadow. Color, size and orientation are all easily adjustable. · Hand Cursor: Switch scrolling to a hand symbol with which you can drag the image. Many users find this more intuitive (this option can also be activated permanently). · Collect Files screen for assembling slideshow's can display either thumbnails or a simple file listing. Now includes information on file sizes, total number of files and total size. · Better support for Canon RAW 2.0 files (e.g. Canon EOS 350D/Digital Rebel XT), including faster loading. · Completely new wizard for saving images to CD or DVD. · New and improved burning technology for saving images and slideshow's to CD/DVD. · Batch processing now includes an option for adding drop shadows and some user interface enhancements. · Improved printer support: DPI settings can be adjusted and are automatically saved and reloaded for PNG, JPG and TIF images. New Original Size print option uses the DPI setting. · The entire user interface has been overhauled for more ease of use and efficiency. Improved and more attractive message boxes and dialogs. · The design and position of all elements has been checked and adjusted where appropriate. More context-sensitive help buttons have been added. · Editing fields now include plausibility checks (e.g. only accepting numbers where applicable). · The skinning system has been improved. New support for user-created buttons and buttons can now use graphic images. Menu colors are skinnable and the color handling of dialogs has been improved. Configuration of the skinning system has also been improved. · New introduction windows have been added to help first-time windows to explain Browse mode and Presentation mode. · Completely new color picker tool (HSV, RGB). · Single-click option for resetting the entire program's factory default settings. · Computer: Any computer that runs one of the above operating systems at a reasonable speed, with a mouse or other compatible pointing device (required). You cannot download any crack or serial number for Ashampoo Photo Commander Free on this page. Every software that you are able to download on our site is legal. There is no crack, serial number, hack or activation key for Ashampoo Photo Commander Free present here. Our collection also doesn't contain any keygens, because keygen programs are being used in illegal ways which we do not support. All software that you can find here is freely downloadable and legal. Ashampoo Photo Commander Free installation package is prepared to be downloaded from our fast download servers. It is checked for possible viruses and is proven to be 100% clean and safe. Various leading antiviruses have been used to test Ashampoo Photo Commander Free, if it contains any viruses. No infections have been found and downloading Ashampoo Photo Commander Free is completelly problem free because of that reason. Our experts on malware detection tested Ashampoo Photo Commander Free with various spyware and malware detection programs, including fyxm.net custom malware and spyware detection, and absolutelly no malware or spyware was found in Ashampoo Photo Commander Free. 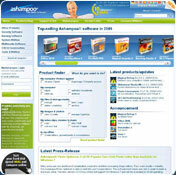 All software that you can find on our servers, including Ashampoo Photo Commander Free, is either freeware, shareware or open-source, some of the software packages are demo, trial or patch versions and if possible (public domain licence), we also host official full versions of software. Because we want to be one of the fastest download sites on the web, we host all the software including Ashampoo Photo Commander Free on our servers. You cannot find here any torrents or download links that would lead you to dangerous sites. Rate Ashampoo Photo Commander Free 5.41!